Back in June we brought you the news that On had launched their new shoe: the Cloudace. Our first impressions were pretty good and we’ve now had some time to run in them, so here’s what we thought. It looks like a very sturdy, structured shoe. 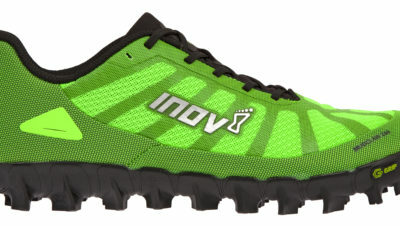 It’s rugged and well-built and I feel it looks more like a trail shoe than a road shoe. 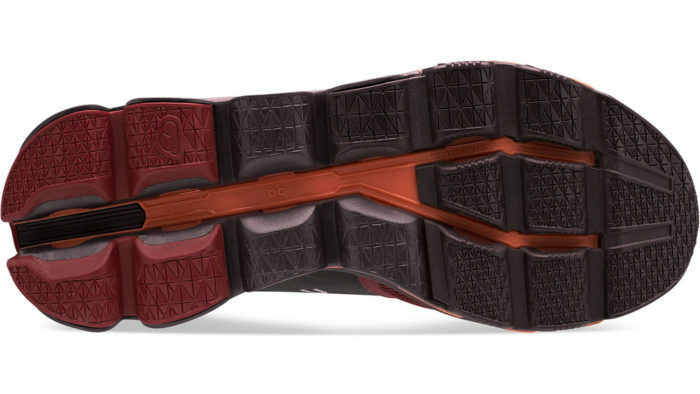 It’s definitely built to last, with reinforced rubber round the toe, the side and the heel. It’s an expensive shoe (£170) but it screams quality. Like all On shoes, this is packed with technology. This is their first shoe to combine their Zero-Gravity Clouds (in the heel) and the Rebound Rubber Clouds (in the forefoot). The clouds feel much more substantial than in their early shoes, but without losing their flexibility. They’ve used an ‘injected TPU heel counter’ and a ‘precision moulded 3D heel pad’ to help keep your heel comfortable and in position. There’s also a ‘liquid-injected’ speedboard for stability. Essentially, they’ve taken all of the best technology from all of their shoes and put it all into this new shoe. This is where I feel that this shoe really excels. They are supremely comfortable right from when you put them on. The insole feels nice and soft and you can feel the cushioning of the clouds. Start running and you really feel the shock-absorption and the natural rolling motion. They actually made me enjoy running on concrete, which isn’t something I say often. 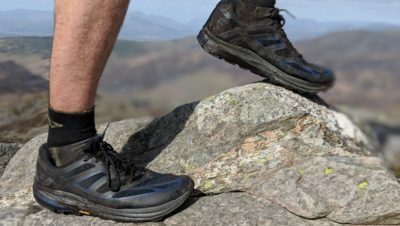 The difference between these shoes and ones with ‘standard’ cushioned soles is most apparent when you’re running fast downhill or just chipping along trying to keep a steady pace. If cushioning is something you really value in a shoe, these are worth a look. 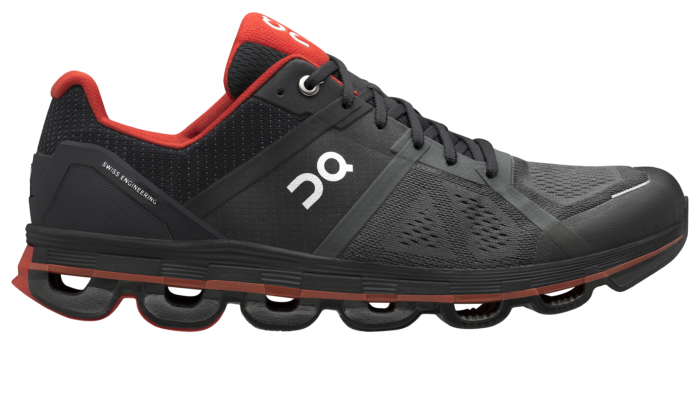 I used to wear the On Cloudflyer as my road shoe and I find the Cloudace really similar in terms of the roomy fit and the firmness. They are sturdy but they certainly feel really cushioned at the same time, which is hard to pull off. Your foot feels very supported but it’s in a nice comfortable bubble. It’s somewhere between office chair and beanbag – around the kind of car seat level in terms of comfort and sturdiness. This is a shoe for people who want support for long training runs and races. It’ll help you keep your form on those long runs and it’ll protect your legs from the traumas of lots of miles on the pavement. 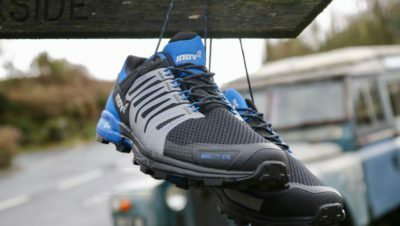 It’s not the lightest (335g) or the cheapest (£170) but if you’re looking for a quality, supportive shoe that’s built to last for many, many comfortable miles, then this is a great option.